Marika Osmotherly was born and grew up in the Netherlands. After finishing her physiotherapy studies in Amsterdam, she moved to the U.K. in 1988 where she practiced in and around London for 6 years. In 1994 she migrated to Australia with her family and settled in Newcastle, NSW. 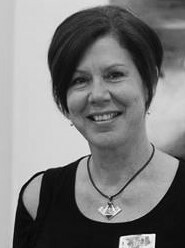 After taking time out to raise her two daughters, she commenced her undergraduate studies in Fine Art at the University of Newcastle in 2001. Her practice initially consisted of figurative sculpture but during her postgraduate studies she started to develop an interest in philosophy, with particular focus on phenomenology and the sublime as elements of her expression of existential angst. Marika finished her Master of Philosophy in 2013 and was employed as a casual academic at the University of Newcastle in the discipline of sculpture from 2009 -2013. She currently teaches drawing and sculpture at the Arts Emporium in New Lambton. She exhibits both nationally and internationally.